RIDE, NOT RUN, LANCE. What's Lance Armstrong doing running with his bike? 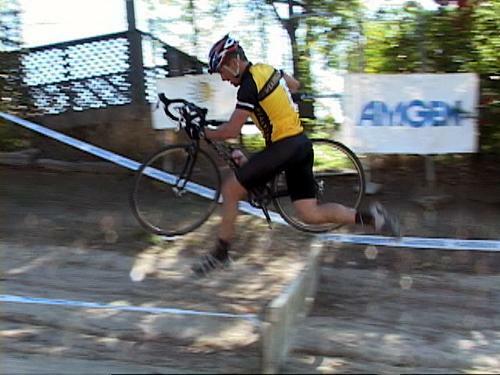 He's competing in the Dec. 19 Scary Fast Cross race. Cross biking combines road, off-road, and, yes, jumping some barriers. That's what Lance is doing here. The photo is by Dorothy Wong and found at www.cyclingnews.com.